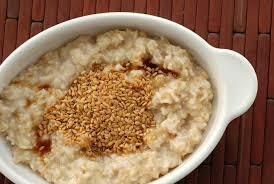 – Load up on fiber-rich foods. Enjoy oatmeal with flax seeds for breakfast, celery sticks with hummus for an afternoon snack, and a whole grain veggie sandwich for lunch. Fiber helps move toxins out of your system and vegetables help build up nutrient levels in your body. – Make sure to get enough vitamin D. Take a stroll mid-day to catch some rays of sunlight. Vitamin D helps our bodies absorb the nutrients from our food. – Turkey, it’s what’s for dinner. Turkey is a lean meat that is rich in protein. Protein helps stabilize your system after your blood sugar has been on a Halloween or holiday chocolate roller coaster. – Have a berry-apple-banana filled smoothie for dessert. The antioxidants in these fruits give your immune system that extra kick to balance immune-suppressing sweets. Speaking of apples and bananas, both are popular fruit choices in the U.S. and readily available year round. Bananas and apples make healthy additions to any diet, as they each offer a variety of nutrients needed to keep your body healthy and lower your risk of disease. Both are also a lower calorie choice when compared to juice or dried fruit, and foods like cake and candy. We’ve made an investment to buy apples for this month’s brown bag deliveries. Apples and bananas contain nutrients that can help improve heart-health. 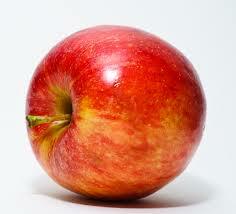 The apple is a good source of pectin, which is a type of soluble fiber. Soluble fiber prevents your body from absorbing cholesterol, helping lower your blood cholesterol levels and reducing your risk of heart disease. Bananas are high in potassium, with 422 milligrams in a medium piece of fruit. Including more potassium rich foods in your diet can aid in blood pressure control. The American Heart Association recommends you aim for 4,700 milligrams of potassium a day for heart-health. Both the apple and the banana have a low glycemic index. The glycemic index ranks how food affects blood sugar. Foods with a low-glycemic index, a number less than or equal to 55, cause only a slight rise in blood sugar, while a food with a high-glycemic index, a number greater than or equal to 70, causes a rapid increase in blood sugar. Consuming a diet that includes more low-glycemic index foods can lower your risk of heart disease and diabetes, according to the Harvard School of Public Health. The apple has a glycemic index of 40, while the banana has a glycemic index of 51. Both the banana and apple are also good sources of antioxidants, including vitamin A and vitamin C. Antioxidants protect your cells from damage by free radicals, decreasing your risk of cancer and heart disease. A medium banana contains 10 milligrams of vitamin C and 76 International Units of vitamin A, while a medium apple contains 8 mg of vitamin C and 98 International Units of vitamin A.